It takes a pretty prolific songwriter to turn out four albums in six years and still have enough left in the tank to record two twenty-track compilations. 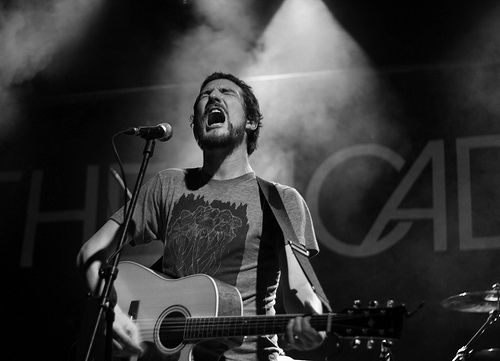 But not only has Frank Turner managed this, he has done so with style and aplomb, especially on this, his second collection of live tracks, b-sides, covers and rarities. ‘The Second Three Years’ crams together the non-album tracks from his 2010 ‘Rock n Roll’ EP, the special edition bonus tracks from last year’s ‘England Keep My Bones’ LP, as well as a broad selection of punk, folk and pop covers; from Wham to Nirvana, and from NOFX to Take That. This compilation is an essential purchase for any serious Frank fan, but it also works suitably well as a far-reaching introduction to one of England’s greatest songwriting talents. Right from the opening acapella verse of ‘Sailor’s Boots’, Turner’s voice is enthralling; by turns gentle and powerful, intimate and abrasive.